For the full answer, visit here. 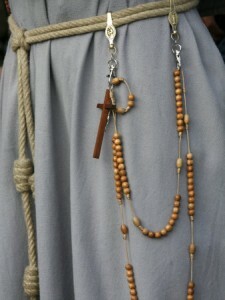 In some larger urban areas, wearing the rosary around the neck is a sign of gang membership. Thus, in many public schools, it is not allowed, either on boys or girls. That’s aside from the spiritual/religious tone of the answer above. 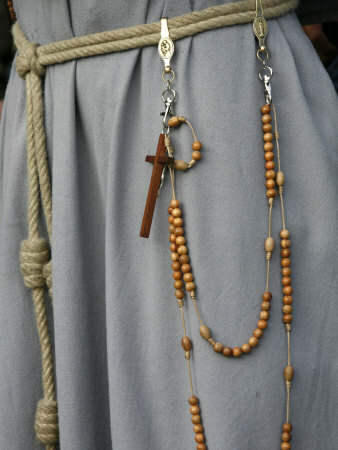 Unfortunately, though, it is also very apparent that the Rosary is flaunted by certain individuals – intentionally or not – whilst dressed very immodestly or inappropriately. Paraguayan model Larissa Riquelme is one whose numerous low-cut blouses are often matched with the Rosary around her neck.